After Paul explains his desire to send Timothy back to them and his desire to come to them eventually himself, he says in Philippians 2:25, “I have thought it necessary to send to you Epaphroditus my brother and fellow worker and fellow soldier, and your messenger and minister to my need.” We don’t think that Epaphroditus was Paul’s physical brother. None of the commentaries suggest that. There is widespread agreement that this is the term by which men who came to faith in Christ referred to each other. Since we are all born again of the same Spirit (1 Corinthians 12:13), we are linked together as family members with one and the same Father (Ephesians 4:4-6). As such we are all brothers and sisters in Christ, members of the same family. The way we treat our family members is an indication of our belonging or not belonging. John tells us in 1 John 3:14-16, “If we love our Christian brothers and sisters, it proves that we have passed from death to life. But a person who has no love is still dead. Anyone who hates another brother or sister is really a murderer at heart. And you know that murderers don’t have eternal life within them. 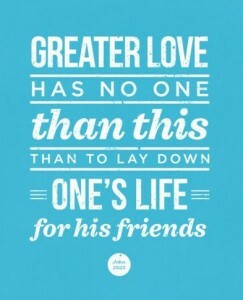 We know what real love is because Jesus gave up his life for us. 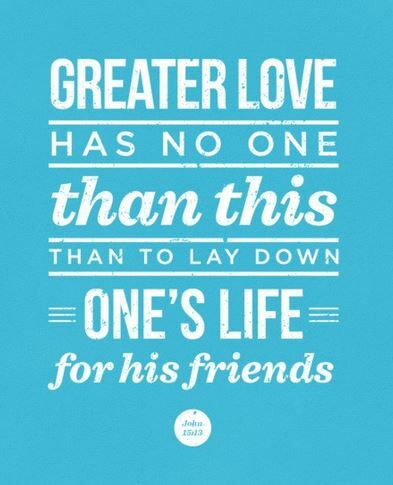 So we also ought to give up our lives for our brothers and sisters.” There is a consistent principle in the New Testament about “no greater love.” It’s a love that is willing to sacrifice itself for the well being of others. The Philippians knew Timothy as one of the planting partners of their church. But they knew Epaphroditus as one of their own members. He was referred to as their “minister” whom they had sent to help Paul in his need while in prison in Rome. He had carried their latest gift to him which would provide for his meals, clothing and other needs. The Roman government did not feed their prisoners at that time. We don’t know much about this man except when we can glean from this letter. Commentators suggest that he probably came from a pagan family because of his name’s association with the Cult of Aphrodite. Yet Paul has the greatest respect for him. He was an “adopted” brother, just like all of us. We adopted brothers and sisters into Abraham’s family. We don’t know all the details of the service that he provided for Paul but we learn later that it nearly cost him his life. Epaphroditus literally lived out the exhortation that John gave to the church. He was ready to give his life in service and he almost did.